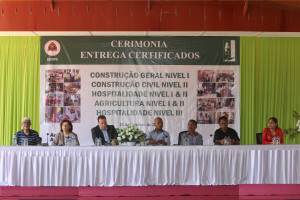 On October 25, 271 trainees from the National Employment and Vocational Training Center (CNEFP) received their certificates in a ceremony attended by the Secretary of State for Vocational Training and Employment (SEFOPE), Julião da Silva, the Ambassador of Australia in Timor-Leste, Peter Roberts and the SEFOPE Director General, Paulo Alves. The event was held at the CNEFP facility in Tibar. Of the 271 now certified trainees, 186 completed building construction levels 1 and 2, 54 graduated at levels 1, 2 and 3 in hospitality and 31 trainees in agriculture. The training lasted six months. The Secretary of State appealed to young people to never stop learning, because that is the way to help the nation. Successive Governments have made a major effort to have Timor-Leste join the Association of Southeast Asian Nations (ASEAN), but all Timorese need to have technical knowledge and skills. 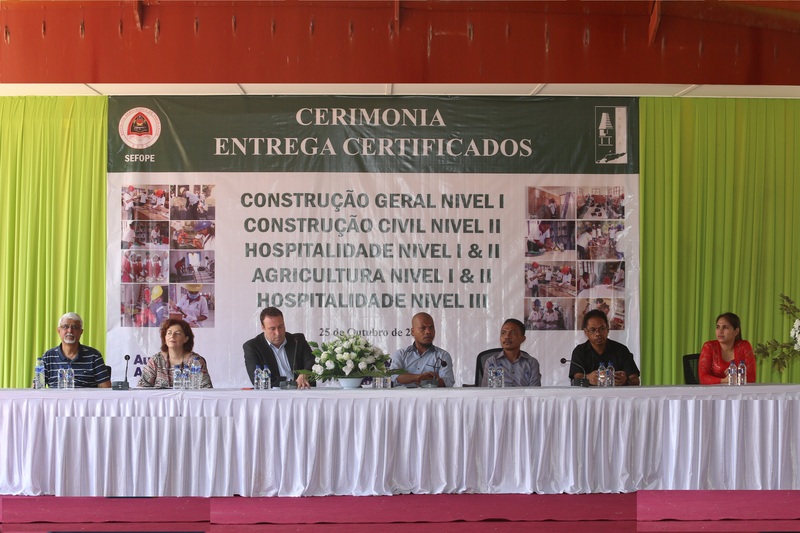 Julião da Silva said that the Eight Government is committed to continue investing in human resources, and, as such, SEFOPE will make large investments in all training centers qualified by INDIMO with the objective of improving the quality of national training centers. The training “can help the government and the state to reduce unemployment and labor disputes in Timor-Leste because managers do not fire skilled workers who contribute to increase investor income”, the Secretary of State said. 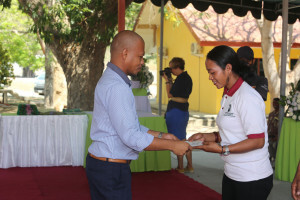 Julião da Silva also asked the graduates who received the certificates, in the various levels of training, use them with responsibility to show the public that quality is based on their dedication to training.